Our innovative managed service programs challenge the status quo. Unlike conventional programs that focus on volume generic skills, ours have grown with the market to address its increasing reliance on niche talent. We simply don’t build off-the-shelf workforce solutions. Every one of our managed service programs is entirely unique, designed to address your resourcing challenges and optimize the ways in which you strategically manage your contingent workforce. Our solutions are fueled by our ability to connect your business with niche skills in high demand areas such as analytics, digital, information security, networks, information technology and change management. In addition, our programs are underpinned by a mature supply chain and enhanced by state of the art technology. Through a consultative approach, we will recommend the solution that’s right and best for you, not us. 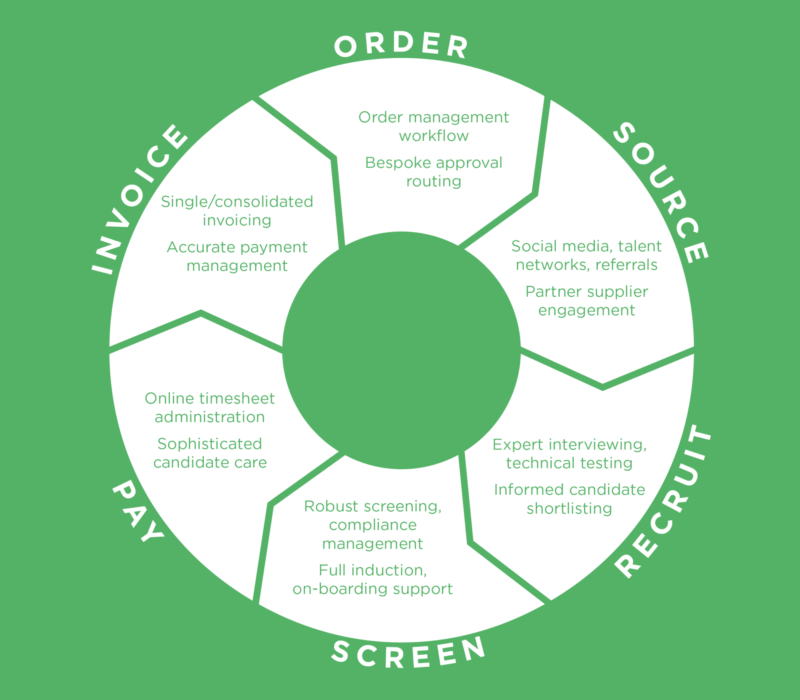 This may take the form of a complete, end to end contingent workforce solution or unbundled services that focus on specific parts of your contingent recruitment process. 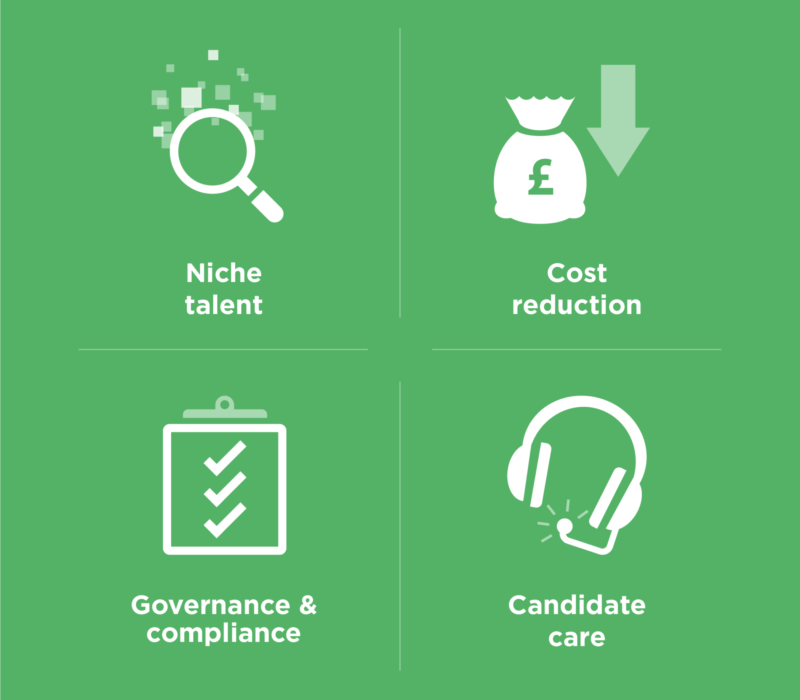 Either way, our solution will respond effectively to the challenges associated with your current contingent talent engagement model, alongside your drivers for change and concerns about risk. Together, we’ll build a cohesive program that delivers rapid access to in-demand talent, streamlined process, maximum efficiency, risk mitigation and cost reduction.